Eylean Board, developed by Prewise, a Lithuanian company, was established in 2011. The Eylean Board system was first developed by the company founders, three software developers, to solve their own workflow issues. Since inception, Eylean has been a highly visual, intuitive, and flexible solution to project managers at companies large and small. Eylean Board was built to be both highly adaptable and user-friendly. It includes a variety of staple project management functionality, including task management, time tracking, real-time reports, customizable dashboards, work-in-progress and resource allocation visualizations, and many more. 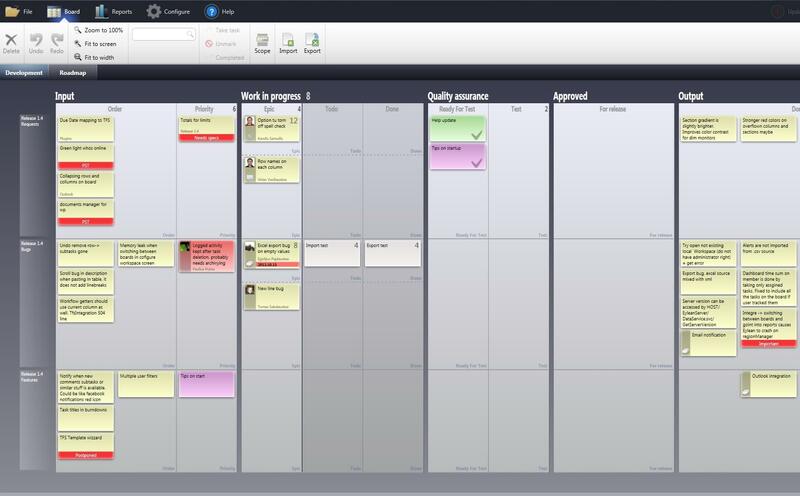 Users can manage tasks with Kanban boards, Scrum boards, or even a “Scrumban” hybrid board. Eylean can also help your team get out of their email inboxes, thanks to built-in commenting on each card, allowing conversations to take place in a collaborative space where all stakeholders can monitor the discussion and have an opportunity to make their voice heard for all to see. Unlike many popular management solutions, Eylean is delivered on-premise. Individual users can download a free copy of the software to their local workstation, or the team edition can be downloaded to your on-site server. Not sure if Prewise’s software fits your unique needs? See more project management software vendors in the TechnologyAdvice database. Learn everything you need to know about Eylean Board. Our experts will reach out to you shortly.